Reliable car rental service offers you the best and affordable prize rates. We provide many options of pick-up and drop-off as per your requirement. Whenever you wanted to roam around pune or its nearby places, you can book our cab at lowest rates. Our business goal is to give the best to our customers which make them feel like they have their own car. We wanted to maintain the best relationship with our customers, so whenever they wanted to go for booking a cab they will choose us. We offer luxury, semi luxury, Cabs suited for big family members, local travel cab booking for long distance We always ensure your journey will be comfortable, convenient and safe. Why choose reliable cab services ? Pune has a lots of tourist attraction that are waiting to be explore by the travellers. Tourists opt for a car rental where they find complete package. Here, in this industry trust is the important factor. People have trusted us because of our good service. We have well trained and well behaved driver, those who have a good knowledge of the roads to make your journey safe and comfortable. We provide cars according to the budget of the tourists. Some of the most popular cars in Pune tour packages are Tavera AC, Tata Indigo, Tata Indica, etc. For the luxurious journey, we provide cars like Mahindra Xylo AC, Toyota Itios, Mahindra Xylo, etc. Also mineral water and newspaper is provided by us during the journey. With the team of smart members, we are available 24x7 to help you. You can either book your journey by using our helpline number or you can directly book us online. Pune is second largest city after mumbai which is situated in Maharashtra state. It has several educational institutions and nearly half of the international students are studying in the pune. It has large government administrations, great museums, and world-class restaurants. Pune is one of the big metro city so, having a car rental in pune in lowest prize is a requirement. Many people wanted to roam around in search of job or some to explore the culture and history of pune, for them it is boredom thing to search for a cab. Rental car service will help you to giving you the best service and comfort through our in India skilled, trusted and well mannered chauffeurs. We are covering more 250 destinations in India. We provide the clean, conditioned cars to give you comfort throughout travelling. Customers get complete satisfaction and can fully enjoy the journey. We known for efficiency and quality since long time. Planning for outstation trip for work? or a business tour from pune to any other city. You can rely on Reliable cars rental cab booking services all the time. Give us a call or book online and we will take care of your travel needs. Our experienced drivers travelled all across the cities nearby so travelling to new place will never be an issue for you. Just focus on your business or work complete and return home safely by using our cab services. Planning for Holiday with family or friends ? your joy level will be always kept high with our cab services. From pune you can explore out some of the nearby beaches, such as Diveagar and the other beaches of Konkan. Malshej Ghat is perhaps one of the most popular outings just outside the city, and youll find that it has gorgeous scenic views. To have an amazing outstation trip from pune, then you can check booking cabs in Pune through Reliable Cars rental. Reliable Cab services will help you get around the city. You can check out the Gliding Centre, where you can get a birds-eye view of the city. You can also take horseback riding tours or check out some of the local water parks. Many visitors love to take bird-watching tours or go on the Pune Heritage Walk to get a sense of the citys amazing history. Shivneri fort is the birthplace of Shivaji, the renowned Maratha King. This ancient fort, built during the king’s reign, holds a rare enthralment for viewers and offers enough material for the historians. Best way to experience the visit is to book cab from pune to visit here as it is about 95km from Pune. Another historic attraction is Sinhgadh, another fort linked with the life of Shivaji. Check out the cars as per your requirement and book now. Aga Khan Palace does not only have historical importance but also was the location for ‘Gandhi’ movie. Sprawling garden surrounding this palace invites tourists all the year round and can be easily reached by road. Shaniwar Wada is very much within Pune and speaks of the proud history of Peshwas. Its construction dates back to 1732 and is special for carrying mythological paintings from epics Ramayana and Mahabharata. You can be lucky if you get to see the lavish light and sound here. If you are a bird lover, watch the Siberian birds at Bhigwan and if a meditation enthusiast, be at the Osho International Meditation Resort. Tour services offering Pune tour packages may include these attractions if you ask. Lonavala needs no recognition. It is already an enchanting place to be as one can witness breathtaking scenes of the Western ranges here. This is a favorite spot of trekkers as well. Fond tourist attractions are the closely located hill stations Panchgani and Mahabaleshwar. You may have to travel around 120 kilometers to be here and for that, it is better to hire Pune car rental. Pune is a happening place and so you got a lot to do here. From trekking to camping and from river rafting to eating out, choice is all yours. Tangy food delicacies are an identity of Pune and you can have lots of them here. Whether it is the original Maharashtrian hotel with traditional items or a continental restaurant offering dishes from star rated chefs, opportunities for the foodies are incredible. Not just unending choices but also the lasting taste is something you want to take along in memories. Close to Lonavala is the Della Adventure spot where you can participate in more than seventy fun activities. Spread across an area of five acres, Della is not only Pune’s but country’s biggest adventure spot. Lonavala also offers you to enjoy hot air balloon safari. Viewing the greenery and scenic beauty of Lonavala and the hills of Sahyadri from the sky is experience of the lifetime. A long list of trekking spots exists with the trekkers because Pune offers many. Bhairavgadh Moroshi, Kalavantin Durg, Harishchandragad, Lohagad fort, Harihar, Rajmachi, etc. are some fond trekking spots. Raja Dinkar Kelkar museum comprise a collection of more than twenty thousand offbeat objects which Mr. Kelkar had collected in his life. Get ready to amaze yourself as some items may be imperceptibly strange for you.It is never a bad idea to opt for Pune city tour by car. You can hire it from Reliable Cars Rental or another dependable service provider. Shaniwar Wada is a popular tourist place in Pune as it showcases the proud history of Peshwas. Its construction dates back to 1732 and is special for carrying mythological paintings from epics Ramayana and Mahabharata. You can be lucky if you get to see the lavish light and sound here. Similarly, Shivneri fort is also the first choice of tourists. It is the birthplace of Shivaji, the renowned Maratha King. This ancient fort, built during the king’s reign, holds a rare enthrallment for viewers and offers enough material for the historians. Lonavala is a place no tourist wants to miss because of the natural enchantment it offers. Everyone being here is eager to witness the breathtaking scenes of the Western ranges here. This is a favorite spot of trekkers as well. Pune’s list of tourist attraction is incomplete without mentioning Aga Khan Palace. The historically renowned palace is also known being the location for ‘Gandhi’ movie. Sprawling garden surrounding it is another attraction for tourists. Pune Kasba is a bazaar famous for its extensive offerings. Accessories, handmade garments, bags, jewelry, etc are favorite attraction for tourists here. Tourists choose cars according to their choice and requirements. An affordable Pune car rental service provider like Reliable Cars Rental has extensive range of cars. Some of the most popular cars in Pune tour packages are Tavera AC, Tata Indigo, Tata Indica, etc. This is so because these cars offer extra comfort to the traveler. For Pune city tour by car, preference is Tata India. But when luxury is solicited, travelers expect Mahindra Xylo AC, Toyota Itios, Mahindra Xylo, etc. We are a preferred Pune car rental provider. Our presence bases upon various aspects which result in the customer’s happiness. We depute only top quality vehicles to ensure your comfort. We take online bookings and provide assured Pune to Mumbai cab. Looking for taxi booking whole day when travelling first time in Pune ? Pune has been a city of migrants, either for education or for Employment. Traveling has been always tedious in unknown city like pune. Our cab service provides genuine support for first time travellers in pune city as well as our staff will be always there to take care of every possible hurdles our cab service customer. 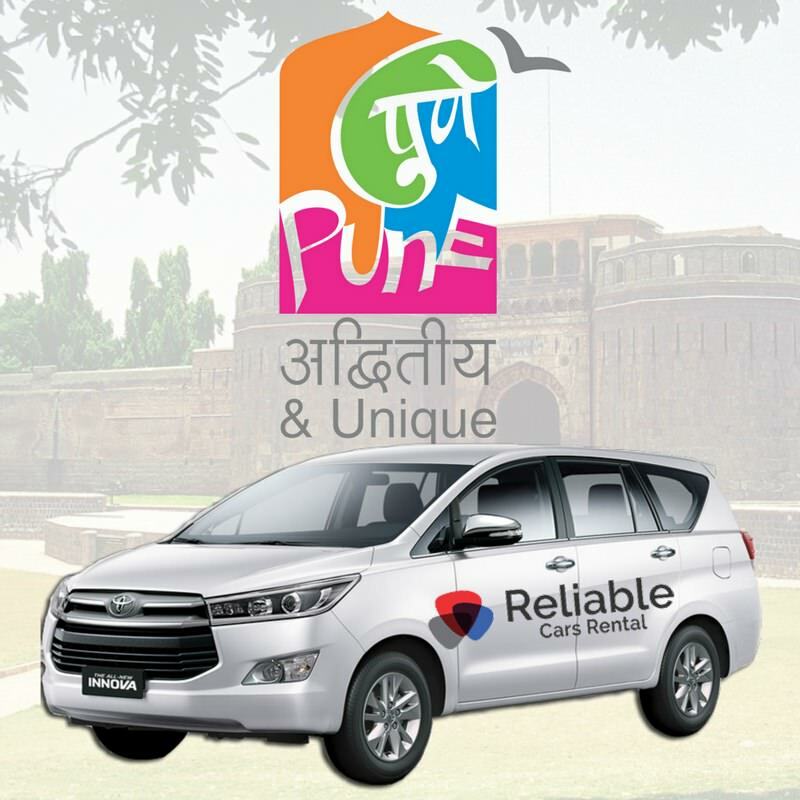 Cabs in pune or drivers can be trusted ? Can we rely our parents, spouse, Ladies on them ? Our cab booking services in pune takes care of your family, friends on top priority. Security has been always our speciality & 24 x 7 support is always there for any trouble. We hire professionally trained cab drivers and train them as per our policy which makes our car rental services most trusted in industry.